This past week hubby and I went north on I-77 headed to Floyd, Virginia. It is one of my favorite towns, filled with amazing art, craft and music. It also didn’t hurt that it was about 10 degrees cooler than at home. 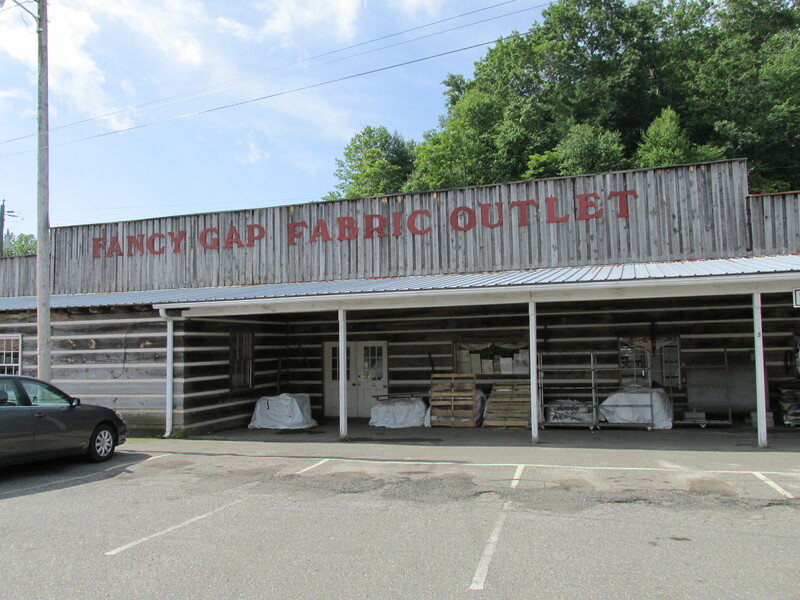 Heading up that way means a stop in Fancy Gap, Virginia to the Fabric Land Outlet. 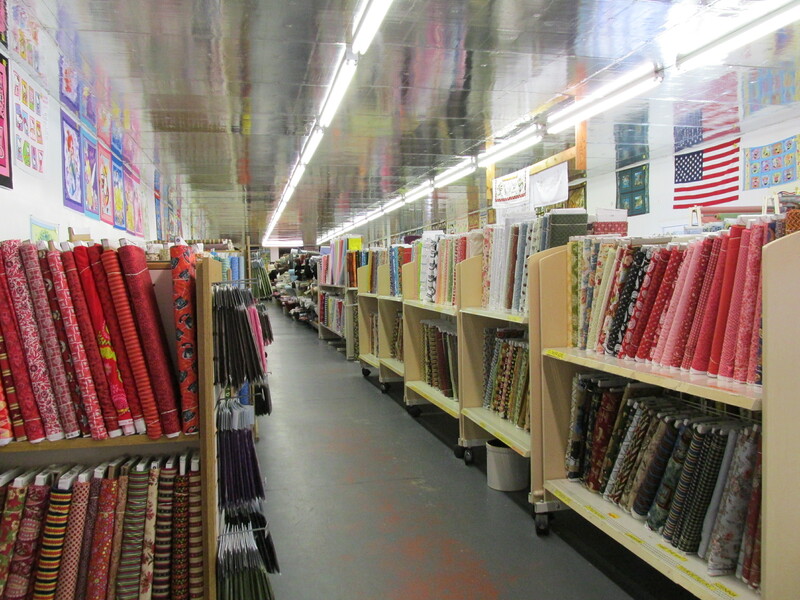 It is a huge warehouse filled with all kinds of fabrics. I especially like going for trims. 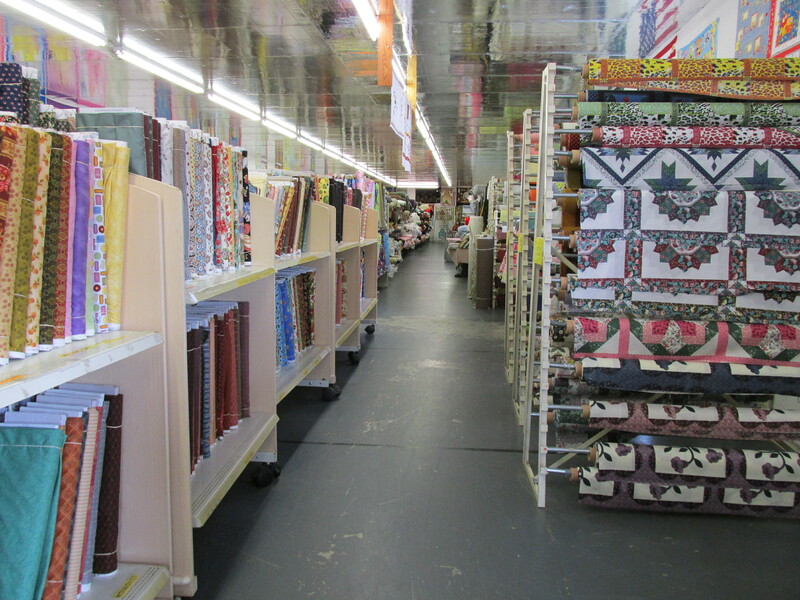 The outlet also has all kinds of notions and craft supplies. 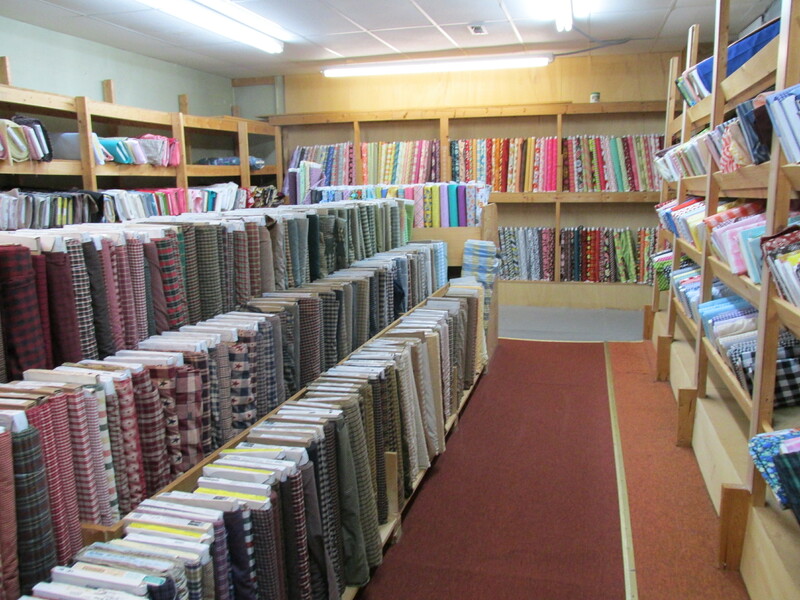 I behaved – 60 yards of trim and I was out of there. Sounds like a lot? It was only 10 cents a yard!! 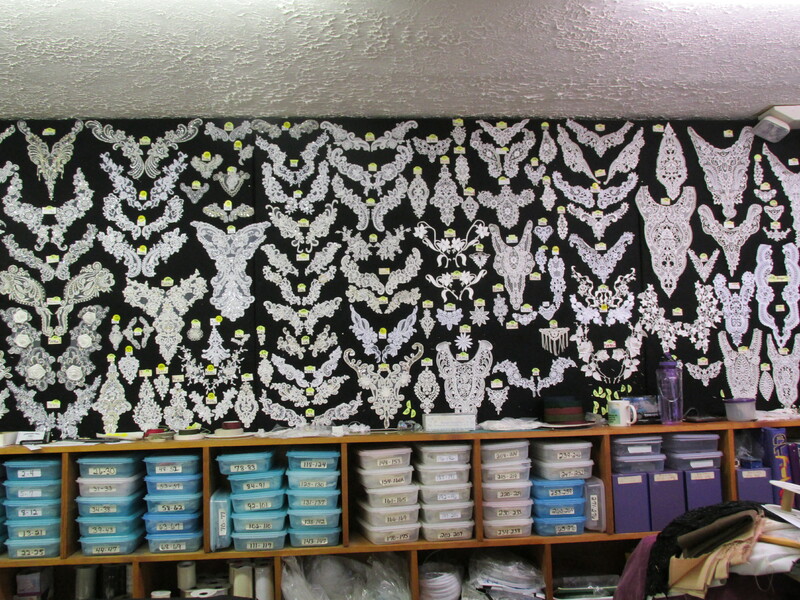 Trim – only a fraction of what was there! 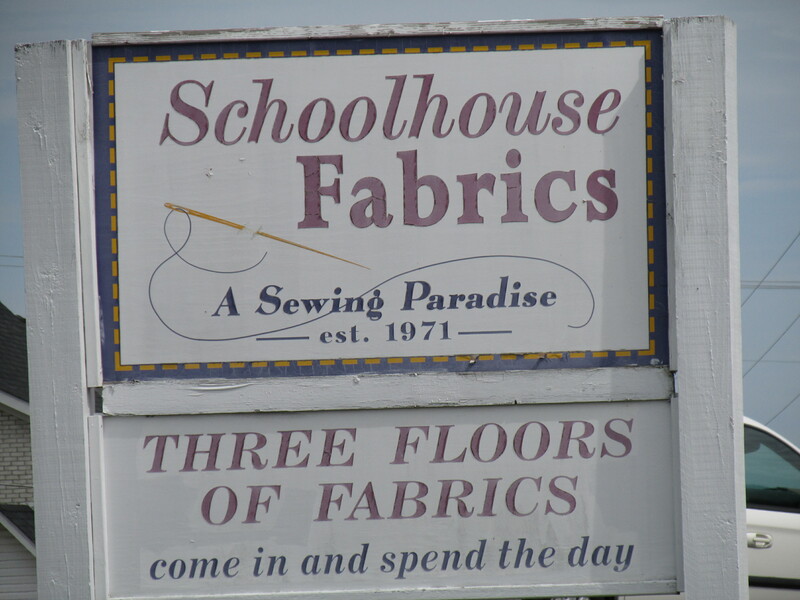 In Floyd we walked down to the School House Fabric shop. It too is filled to the brim with fabric. There are many rooms to explore. 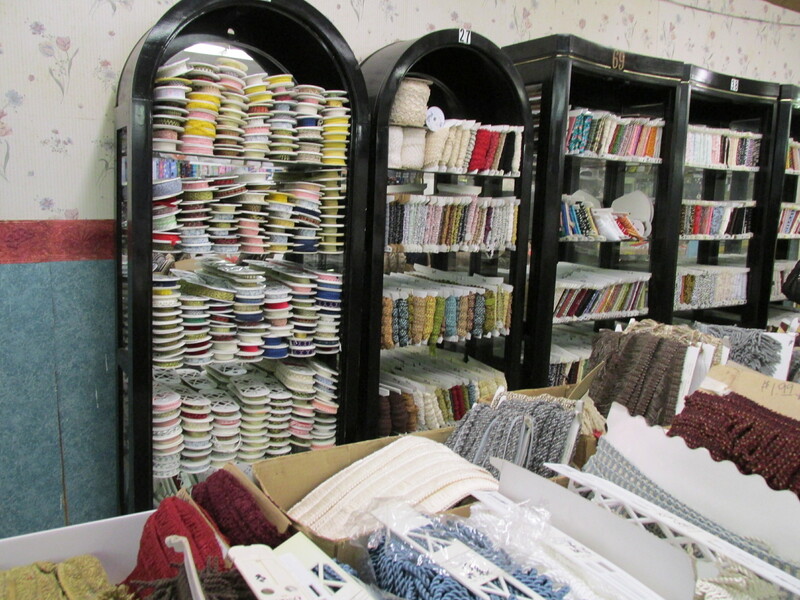 One of my favorites is the bridal room – look at the wall of trim – wow! Another room – one of several. Wall of trim in Bridal Room! We stayed at Hotel Floyd. It is a very well appointed hotel filled with local art. My hat is off to the owners who support their local artists and I’m told that they always pay the artist’s full asking price. 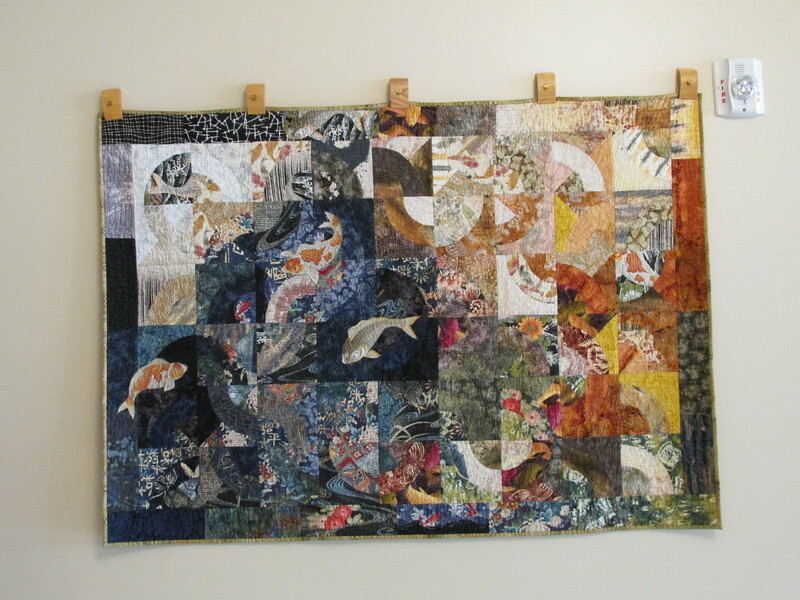 Beautiful quilt displayed in lobby. 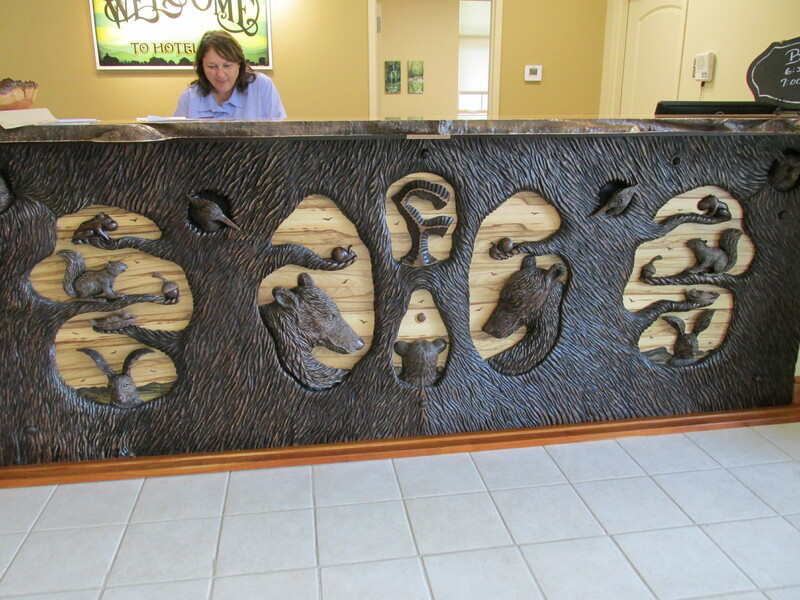 The hand carved front desk greets you as you walk into the lobby. 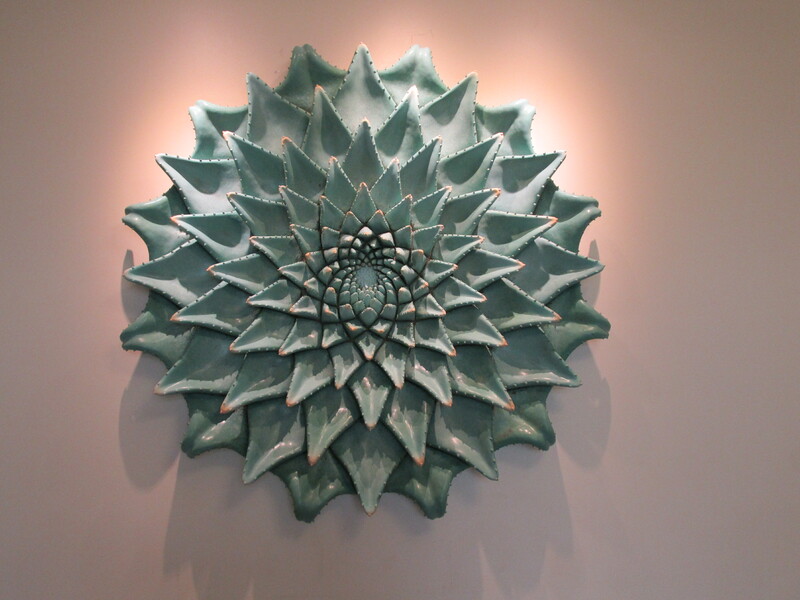 There are amazing ceramic works on the walls and a quilt hanging in the lobby. Everywhere you go in Floyd, there is art. On Friday nights musicians play outside on the street – There are fiddles and guitars and lots of feet tapping.Going to Floyd is like entering another dimension for me, and I so look forward to our next road trip there. 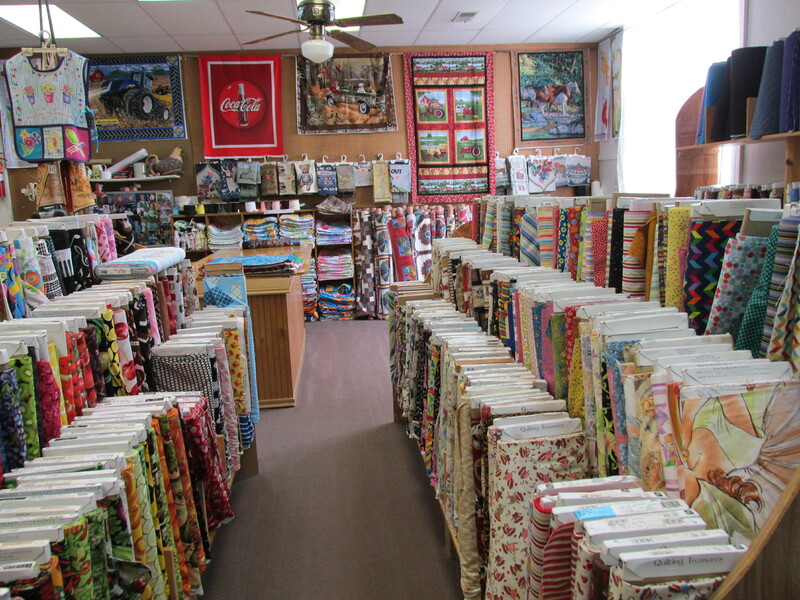 Fabric, art and music – three of my favorite worlds in one! OK, I am stopping the next time I head in that direction.